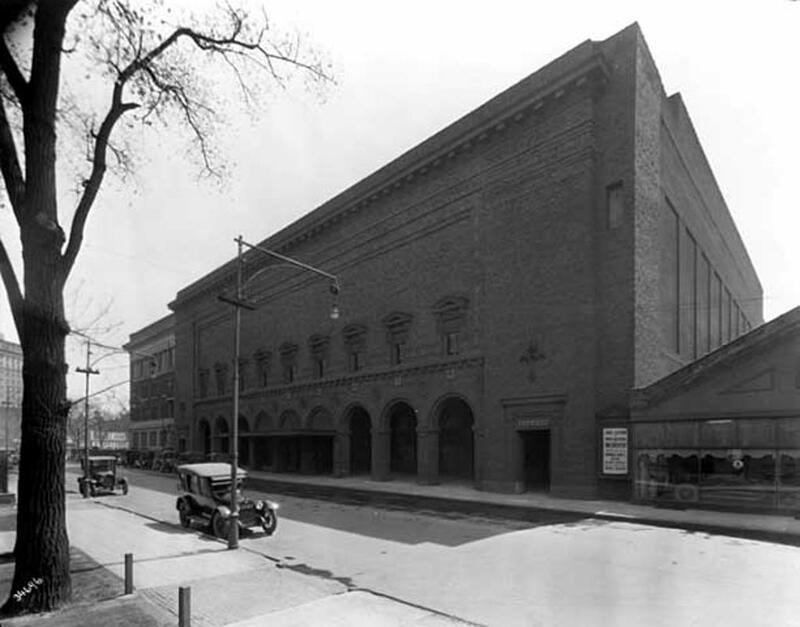 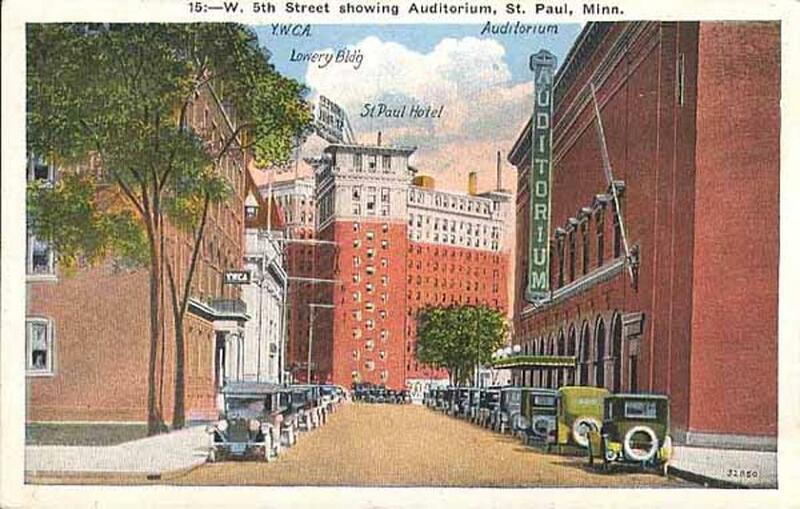 Designed by renowned African American municipal architect Clarence W. Wigington, and built in 1931-1932, the St. Paul Auditorium was the capital cities first artificial ice rink, and still today is a multi-purpose arena in downtown St. Paul, Minnesota. 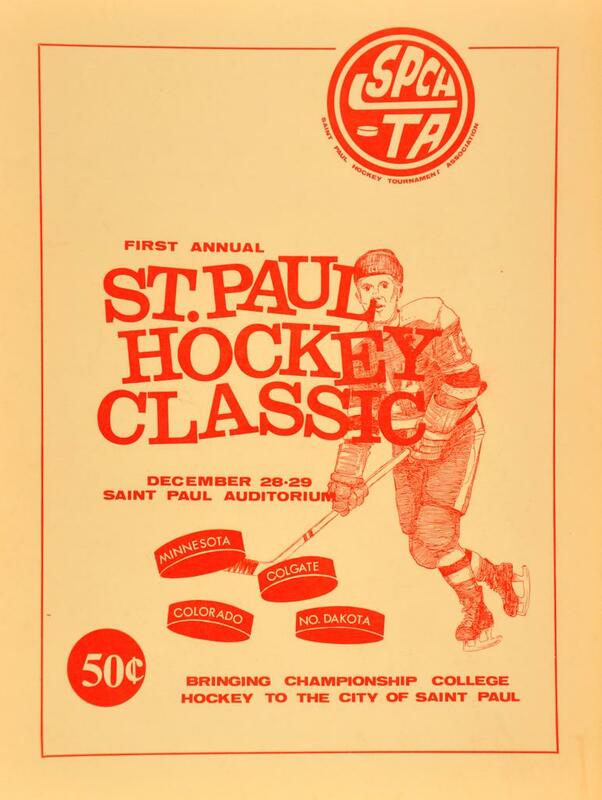 The Legendary Auditorium has hosted some of the most recognizable performers, and legendary hockey teams from St. Paul's illustrious hockey past on the Auditoriums ice. 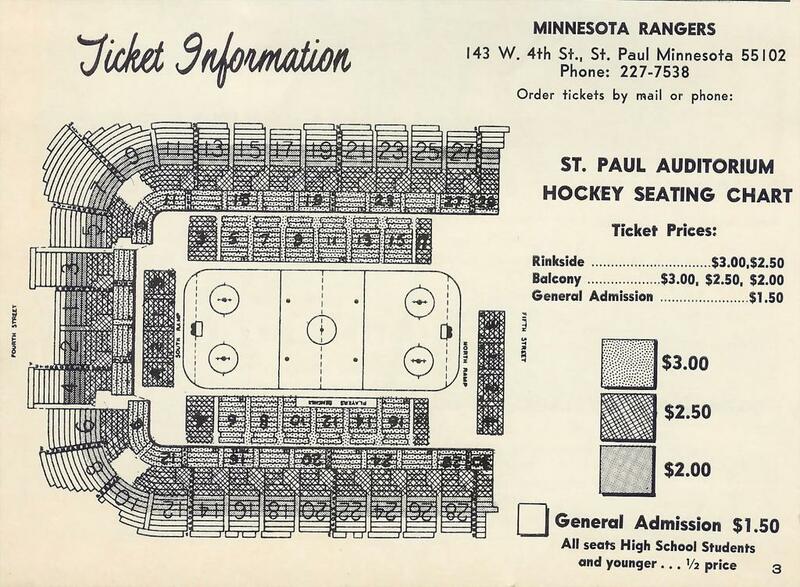 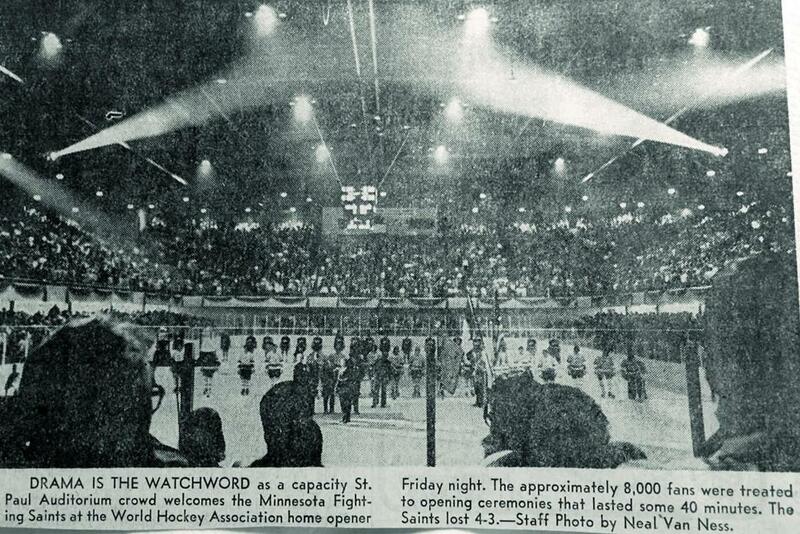 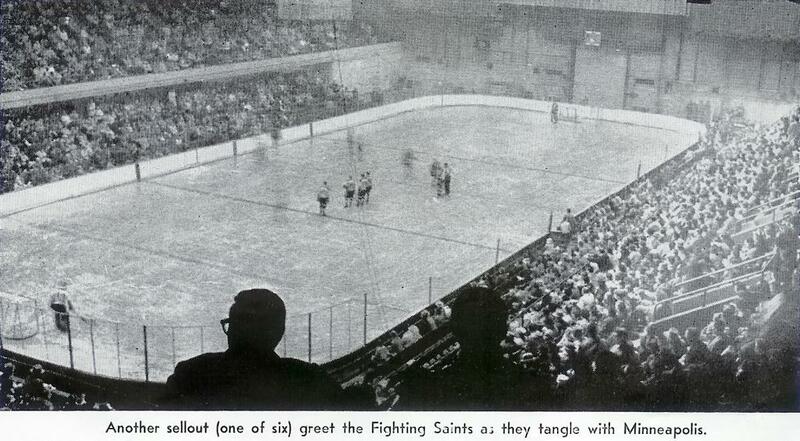 The arena provided a first class place to play and watch hockey and boded well for the future of the game in St. Paul. 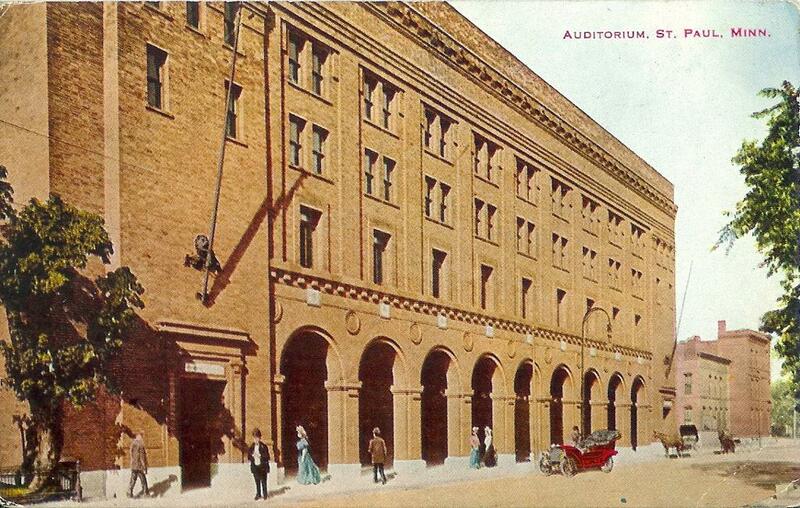 Artists such as The Grateful Dead, David Bowie, Bruce Springsteen and Bob Dylan are just a few legendary acts whose sound has graced the walls of the 44,800 square foot building, with seating capacity for over 7,000 spectators. 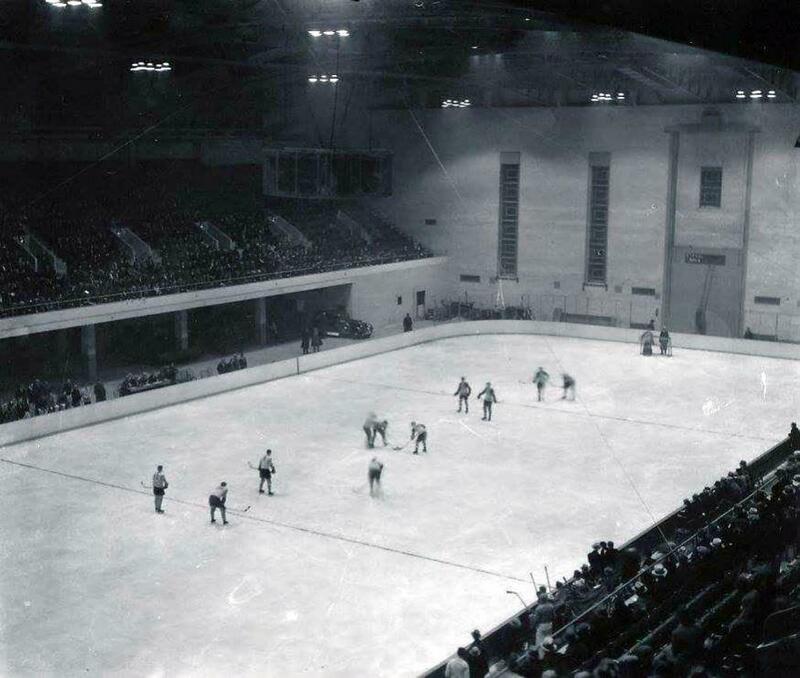 The University of Minnesota's Golden Gophers hockey team used the arena as one of their home rinks from 1930 to 1950, until the old Williams arena (later renamed Mariucci arena was suited for U of M hockey.) 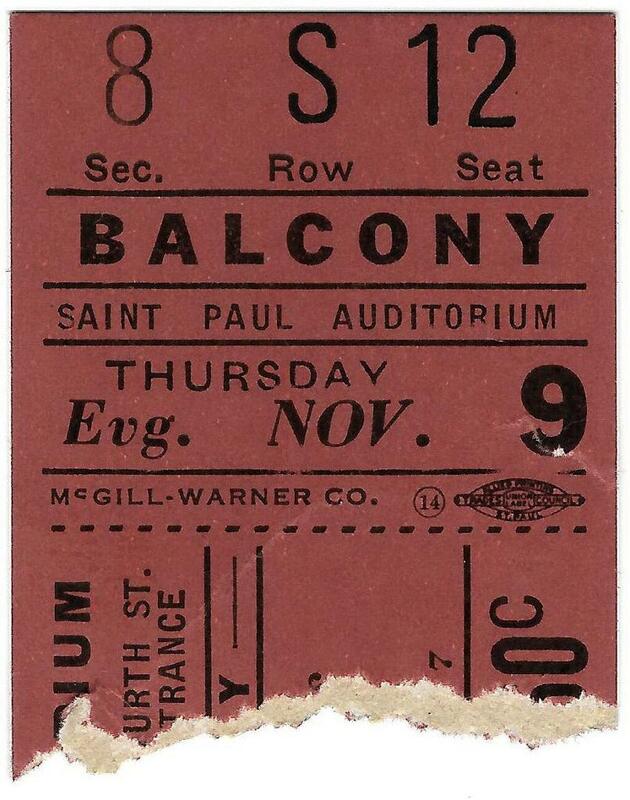 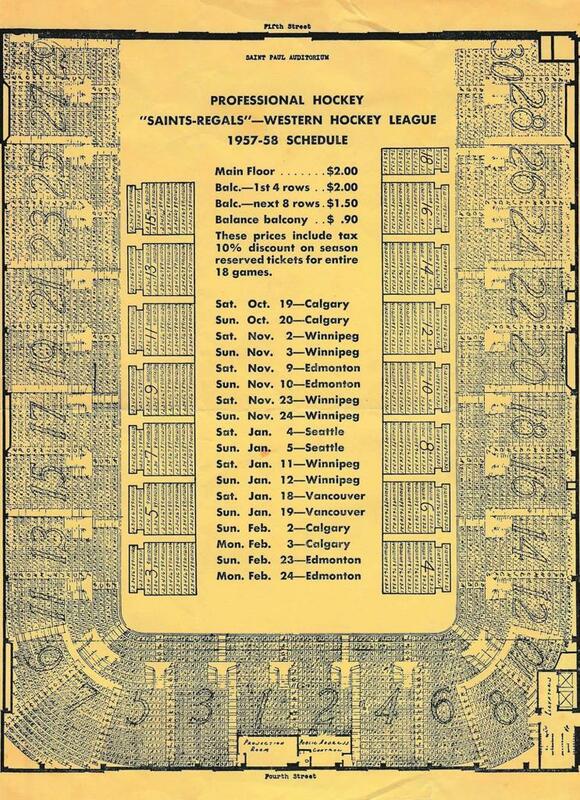 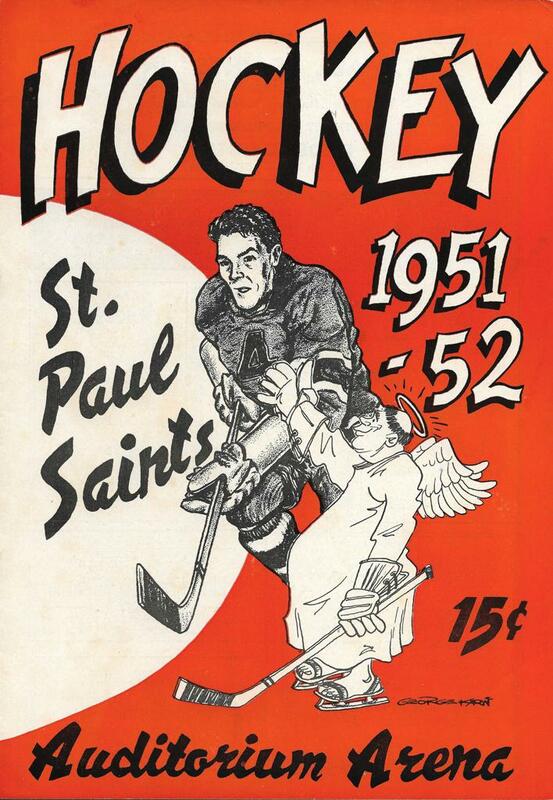 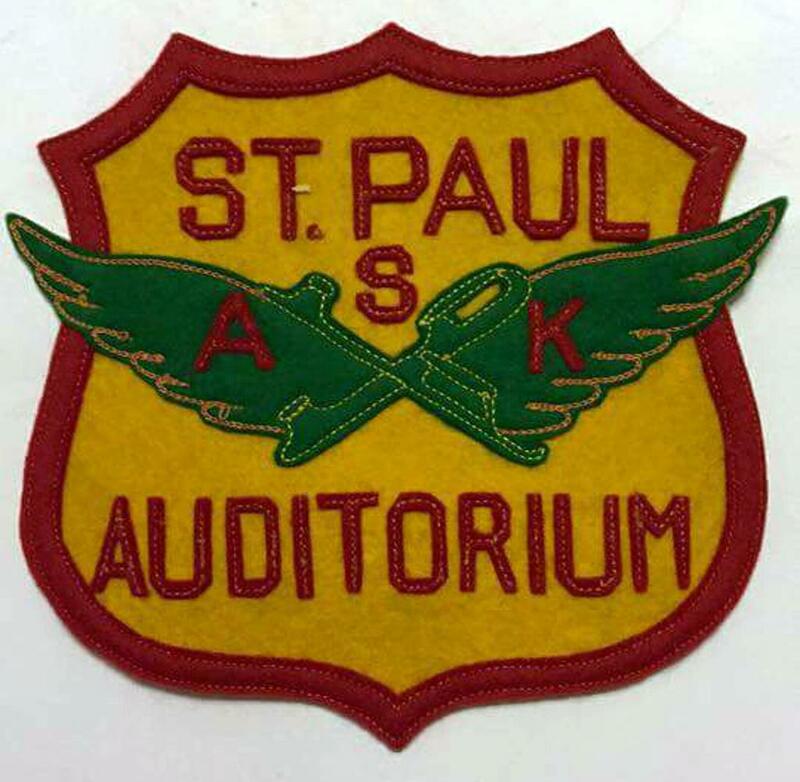 The old St. Paul Saints hockey team also played in the Auditorium from 1932-1963, and the Minneapolis Lakers basketball team used the Auditorium when their regular home the Minneapolis Arenawas not available. 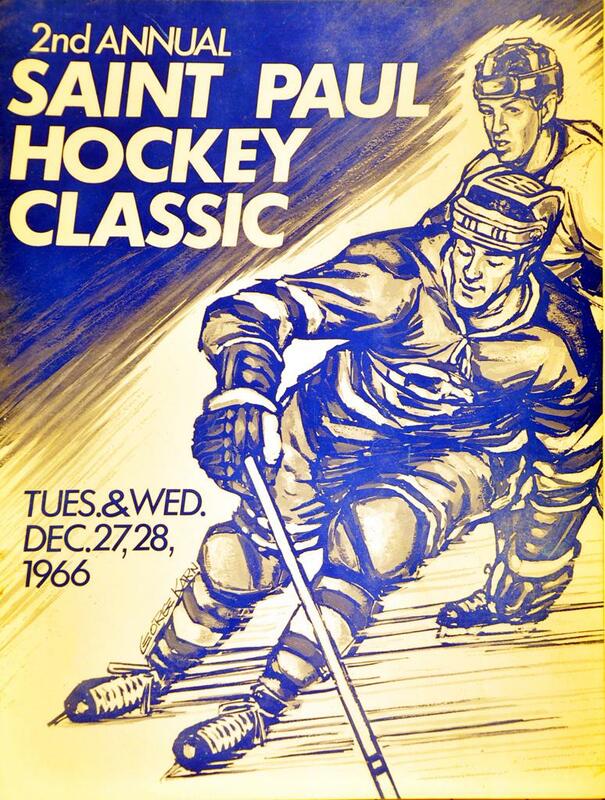 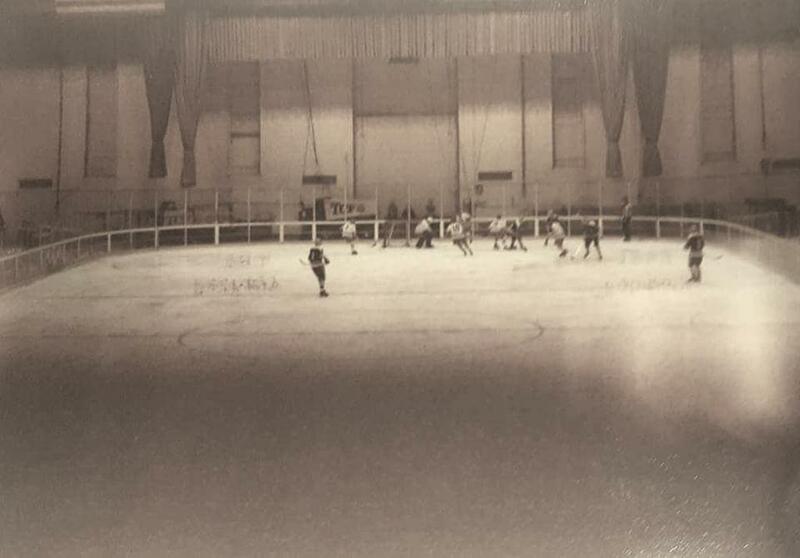 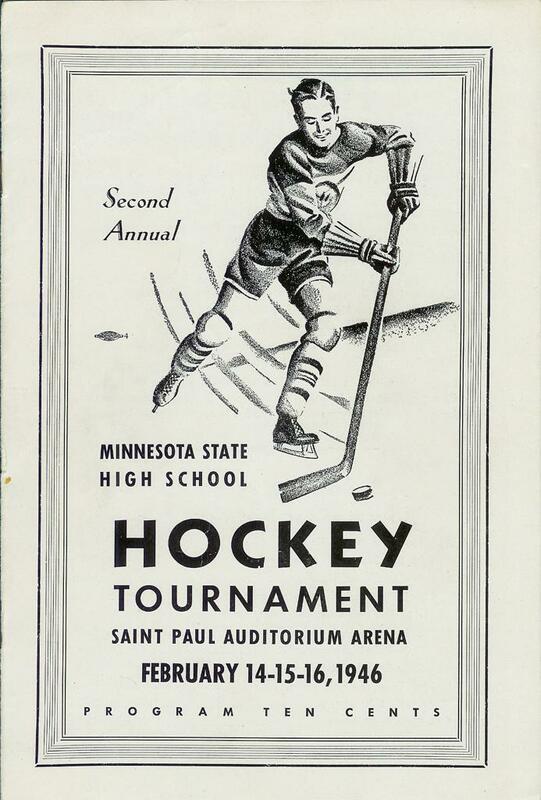 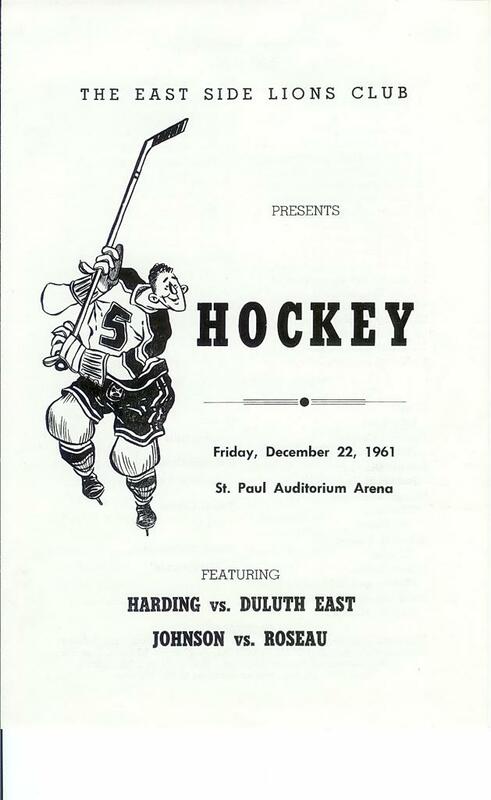 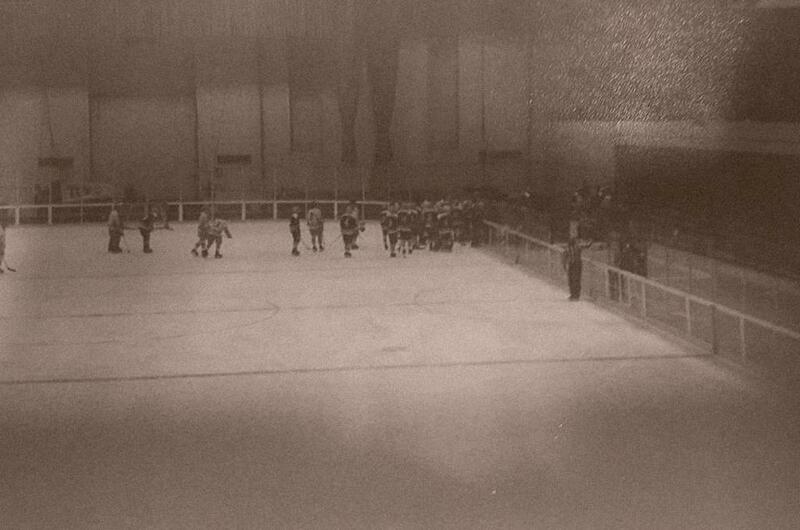 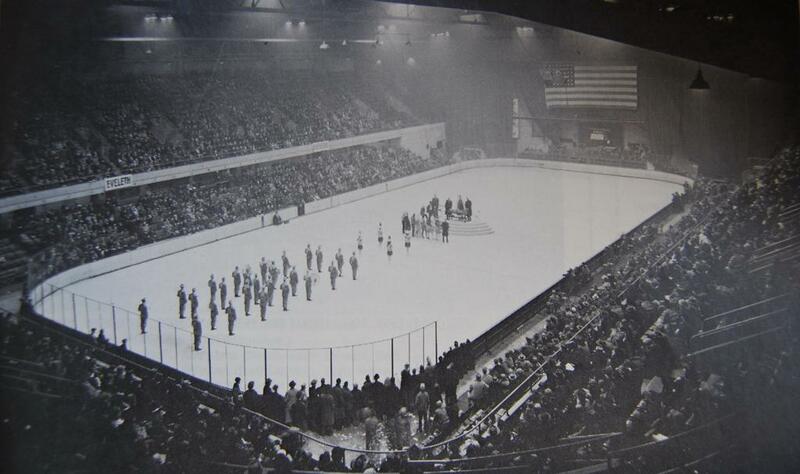 Starting in 1945, the State Boys Minnesota High School Hockey Tournament was held at the Auditorium until 1968. 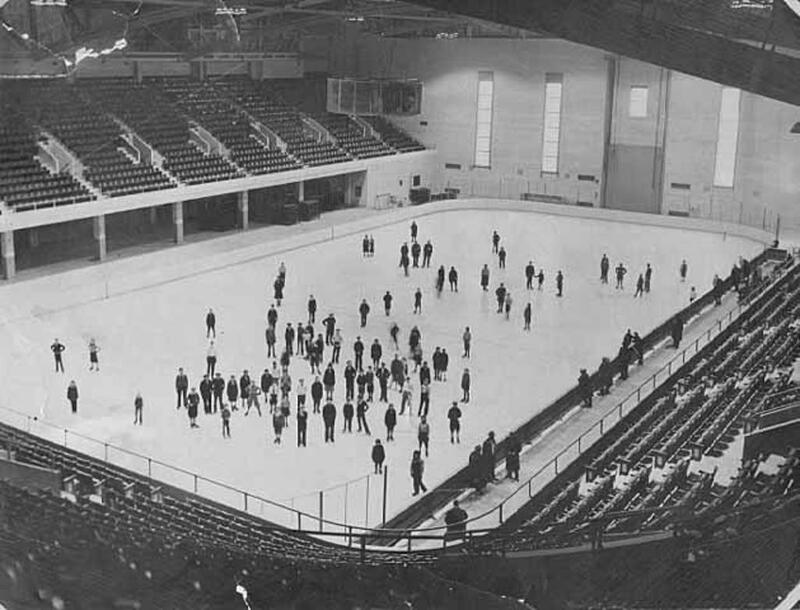 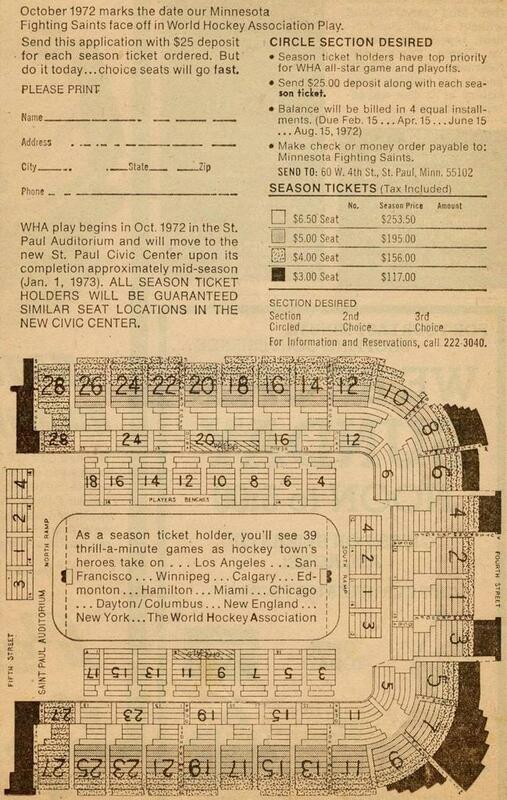 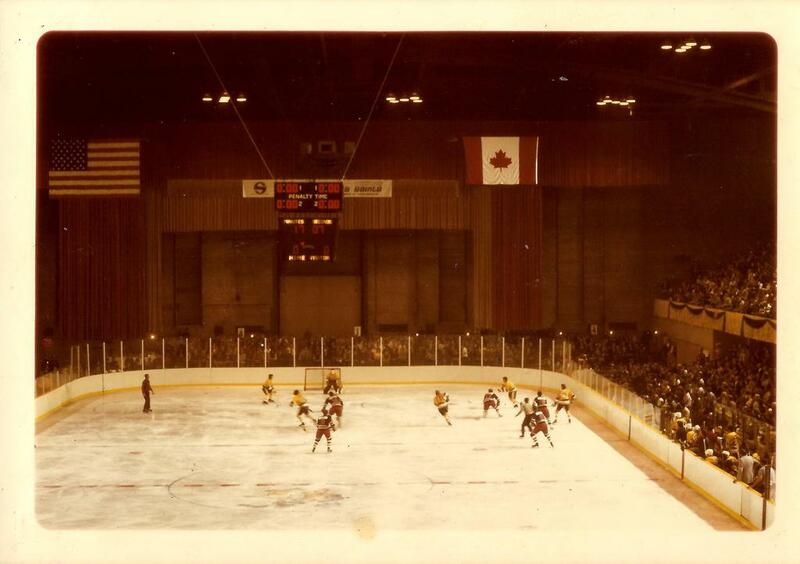 It was home to the Minnesota Fighting Saints ice hockey team starting in the fall of 1972, before they moved to their new confines of the old St. Paul Civic Center. 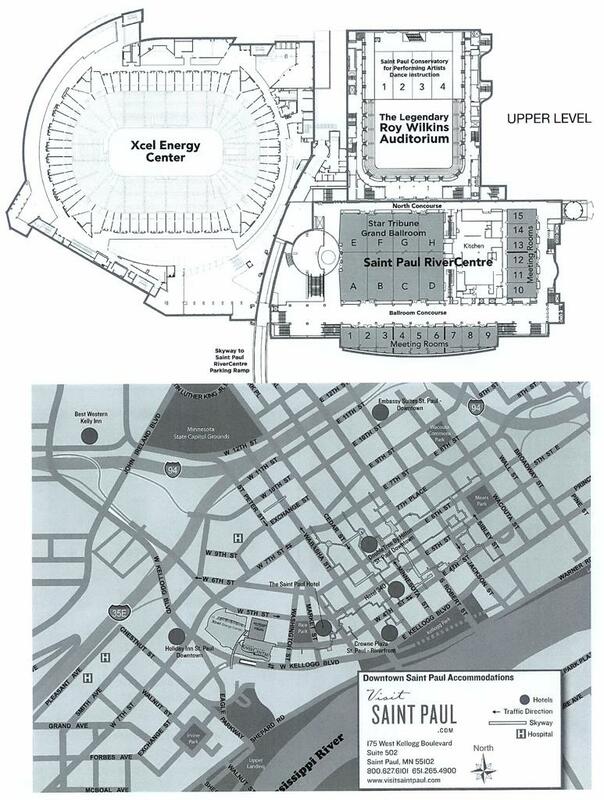 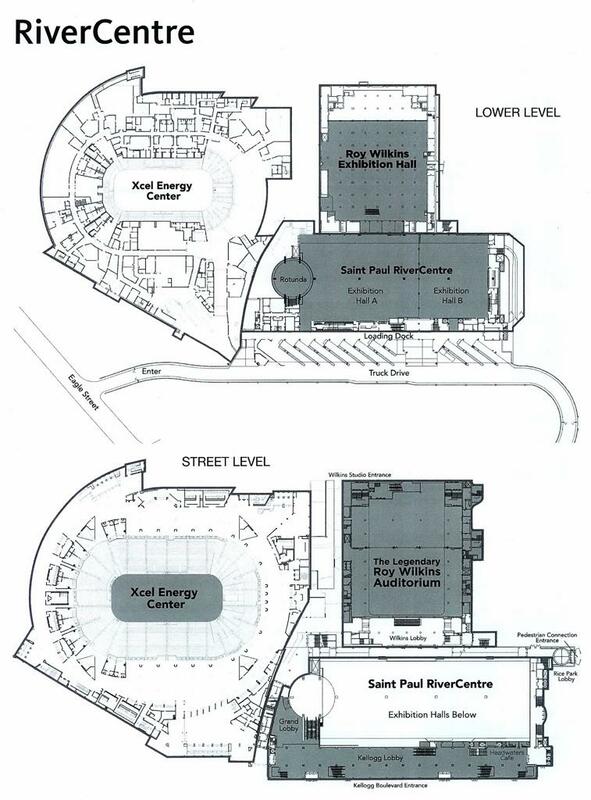 The "old" Civic Center was connected to the St. Paul Auditorium, and is today's home of the Minnesota Wild at the new X-Cel Energy Center, built in the same location as the old Civic Center. 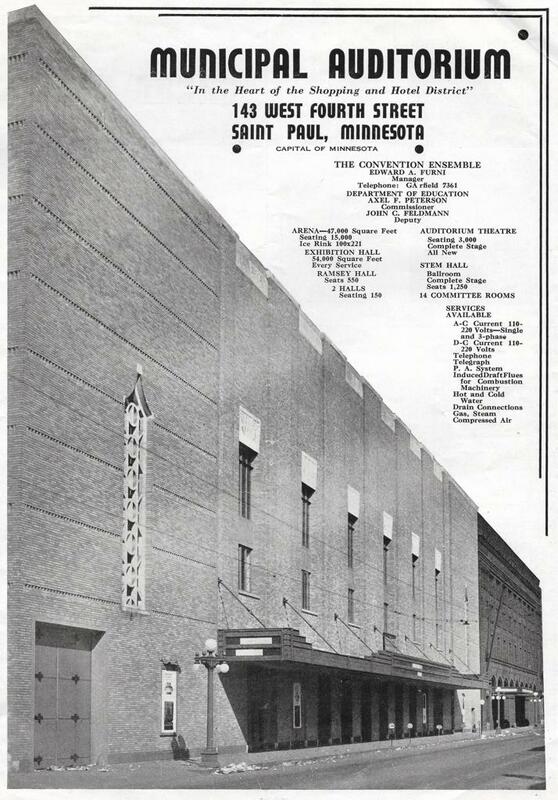 The St. Paul Auditorium was renamed for Mr. Roy Wilkins in 1985. 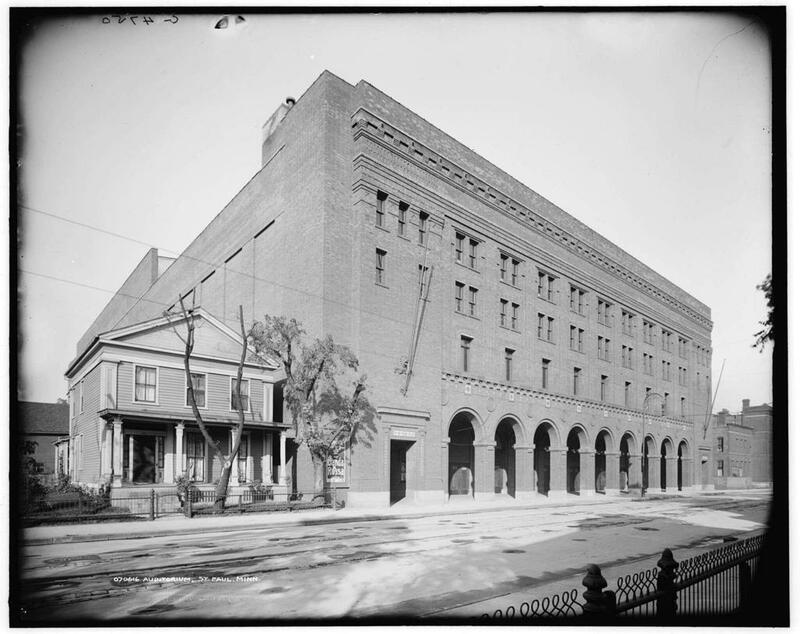 Wilkins had been the former director of the NAACP, and was a legendary historical figure in America's climb towards achieving civil rights for all of its citizens. 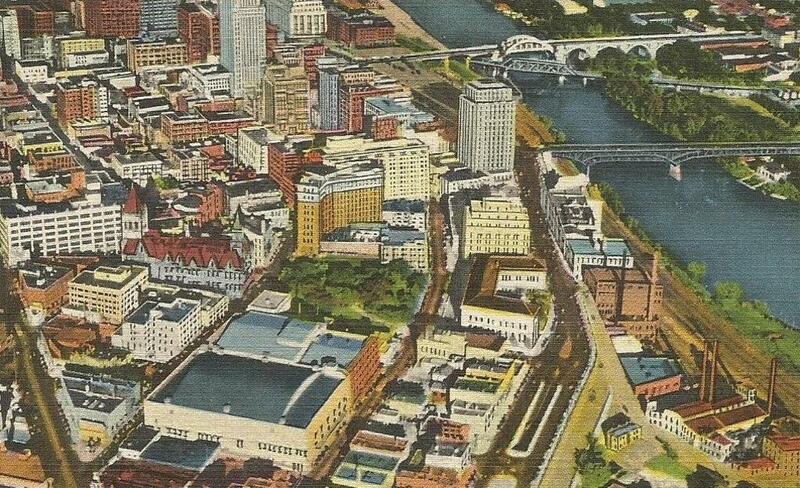 Wilkins had his upbringing in the Rondo neighborhood, located near what is now Rice Park in downtown St. Paul. 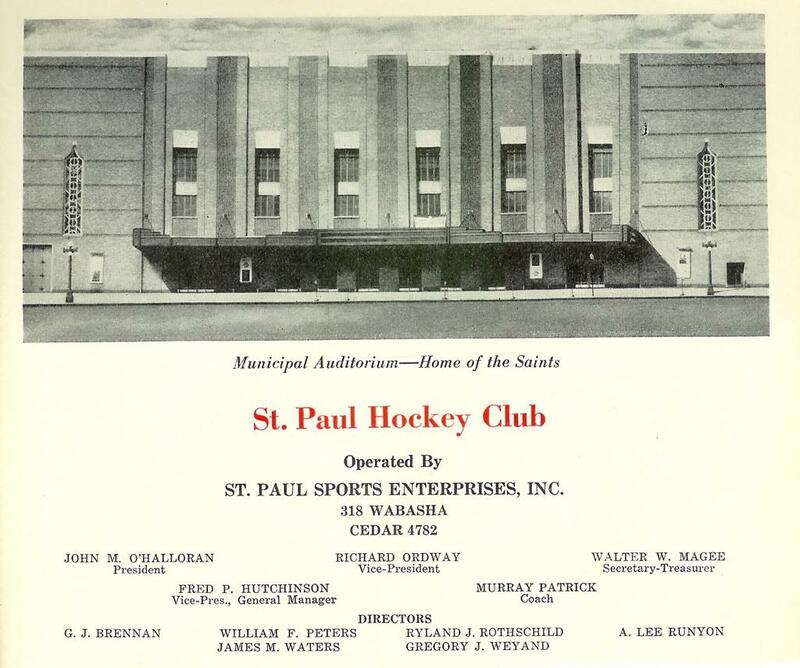 The Hockey teams of old within the walls of the St. Paul Auditorium have since moved on but the memories have lasted forever in downtown St. Paul.